Valerie K. Williams was born and raised in the small town of Millville, New Jersey. As a high school senior in 1991, she was declared ‘Best Speaker in South Jersey’ by the South Jersey Debate League. In 1994 she graduated from Stockton State College achieving a Bachelor of Arts degree in Criminal Justice. While in law school she served as the Secretary of the Student Bar Association, an elected position. In 1998 she achieved a Juris Doctor degree from Widener University School of Law. Since its formation in 2003, Valerie has been the managing partner of Keller, Lisgar & Williams, LLP. During her career she has spent countless hours in the local courts throughout Delaware, Philadelphia, Chester, Bucks and Montgomery Counties, as well as in federal court, litigating both criminal and civil matters. Throughout her career, Valerie has exemplified confidence and superior qualifications of leadership, reputation, influence and performance. She has been extremely successful both in and out of the courtroom allowing her to recover millions of dollars in damages for her clients due to the negligence of other drivers, property owners, employers, businesses, contractors, government entities, product manufacturers and medical providers. 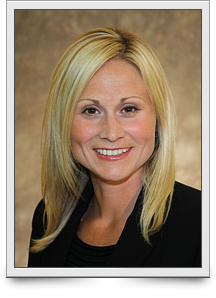 She is a member of the American, Pennsylvania, Delaware County and Philadelphia Bar Associations. She is also a member of the American Association for Justice (formerly known as the Association of Trial Lawyers of America). She is licensed to practice in the Commonwealth of Pennsylvania (1998) and the United States District Court, Eastern District of Pennsylvania (1999), and United States Tax Court. As a member of the local bar associations, she sits as an arbitrator several times each year hearing cases and rendering awards. From 2014-2017, Valerie has been featured in Suburban Life/Philadelphia Life Magazine’s Top Attorneys Editions. In 2016 she was added to the National Trial Lawyers Top 100 list. She has recurrently been selected as a “Rising Star – Super Lawyer” of Pennsylvania, a peer-selected group of practitioners from around the Commonwealth. No more than 2.5 % of attorneys in Pennsylvania are named to this list. Valerie is married and has two teenage boys who are actively engaged in competitive sports. When she is not attending a game or meet, she spends her free time skiing in the mountains, or relaxing on the beach.